Hit Radio MS One genres are Adult Contemporary & Top 40-Pop.It is broadcasting all day with the top 100 and top 10 charts hits from past five years.Its headquarter is located in Oldenburg, Niedersachsen, Germany.For contacting purpose call on +49 821 / 486 78 61. 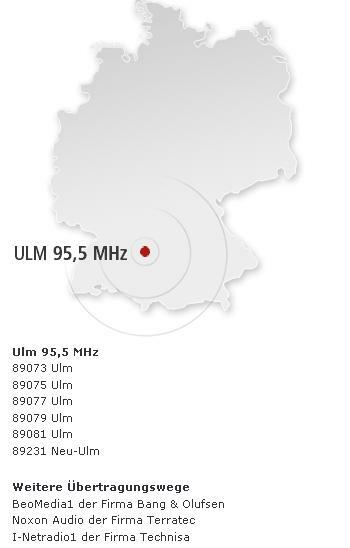 B5 Aktuell is basically a News channel which is broadcasting latest national and international News as well as providing current news after every fifteen minutes.here you can listen live stream on frequency 107.1 FM.Listen talk shows on politics, economy, culture and sport-regionally.Its Genres are News and Sports Talk.Its headquarter is located in Ochsenkopf Germany. 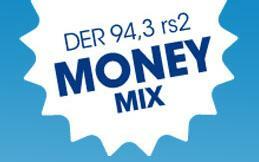 rs2 is a famous Berlin station with the most diverse mix of music in Germany (Brandenburg).Its genres is Adult Contemporary and broadcasting in German language.You can listen Mix music formats and genres .Listen rock , pop , classical , jazz music online. Radio Eins is broadcasting on frequency 95.8 FM from berlin live and it is only for Adults station.This station is a Mix of both music and information.It is also called “radioeins vom rbb” With a unique variety of music it is famous in all German community especially in Berlin.This is demanded, discussed, analyzed and commented station promoting cultural programs.Genres is Adult Contemporary and language is German. Radio Berlin plays biggest top hits music all the day , You can listen Herbert Grönemeyer, Bee Gees, Prince, Smokie, ABBA, Rosenstolz, Robby Williams, Nena and Madonna live.Listen online latest most updates of weather report , latest traffic services report, Live reports from government , business , culture and sports news , lots of customer services news.Its genres are Adult Contemporary, Ethnic & Classic Hits.It is on air on frequency 88.8. 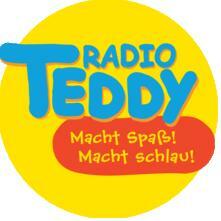 Radio Teddy is basically a private station which playing its transmission especially for children.This is also called “The Children’s radio for the whole family.”You can listen 24/7 Hrs live programs and it is broadcasting from August 2005.This is a station in Berlin and Brandenburg FM-Frequency 90.2 MHz.Its has 222 000 adults listeners per day and daily Teddy 358 000 children and adults.Hence this is really a popular in German community. Radio Russkij is especially broadcasting programs for students, families, bachelors, housewives, students and for children.More then 300,000 people in Berlin and the surrounding area are enjoying this live station.This station programs are the combination of the Knowledge of Russian language and culture.Music is also the part of this station.Its Genre is Adult Contemporary broadcasting in German language. Welcome to Radio Paradise , This is basically a listener-sponsored Internet FM Station hat identifies itself as an “eclectic online rock” Station.Its music is not limited to a specific genres that is why it is differ from other FM channels and most popular in German community.It has a great variety of programs and it plays different styles of pop and rock music.This station is especially broadcasting for Elder and speaks to the listeners between 30 and 49 which are fully in working life.It received them around on the frequency 98.2 MHz. Mainly Its genres are Adult Contemporary and Easy Listening. Radio B2 is a popular station in Berlin which is playing strong class hits and oldies music live.This station is broadcasting The new information and entertainment for the Capital Region.Listen latest News and full of entertainment programs in German language.Its Genres are Oldies, Top 40-Pop and Adult Contemporary.For more entertainment you can visit the official website. Radijojo is a popular station which is especially broadcasting programs for children from Berlin.It brings all interested students who are interested in music , colorful magazines , interactive games , and broadcasts easy understandable information as well as very informative programs for children.Its genres is Children’s Music and broadcasting in German language.For contacting purpose call on 030 – 28 04 17 95.